What’s the best controller for PC gaming? One of the oldest and most sacred truths in PC gaming (at least according to PC gaming purists) is that a keyboard and mouse setup is almost always better than using a console-based game controller. However, even those of us who plan to be buried with our mechanical keyboards can admit that for certain game genres, in some cases, sometimes a game controller is the better option. And if you’re a console player making the jump to PC, having a controller as an option can make the transition easier. In this comparison guide I’ll be looking at the three most popular game controller options for PC: Xbox controllers, PlayStation controllers, and Valve’s own Steam Controller. Each of those three categories has its pros and cons, but as you’ll soon see, there’s one category in particular which I believe is the best overall option. If you’re gaming on a Windows PC, using an Xbox-based controller is a bit of a no-brainer. Since Windows and Xbox are both Microsoft properties, support for both current Xbox One controllers and legacy Xbox 360 controllers is actually built right into the Windows 10 operating system. There’s no need to download any external drivers or perform any sort of custom setup, just plug the controller in, wait a few seconds for your computer to detect the device, and you’re good to go. 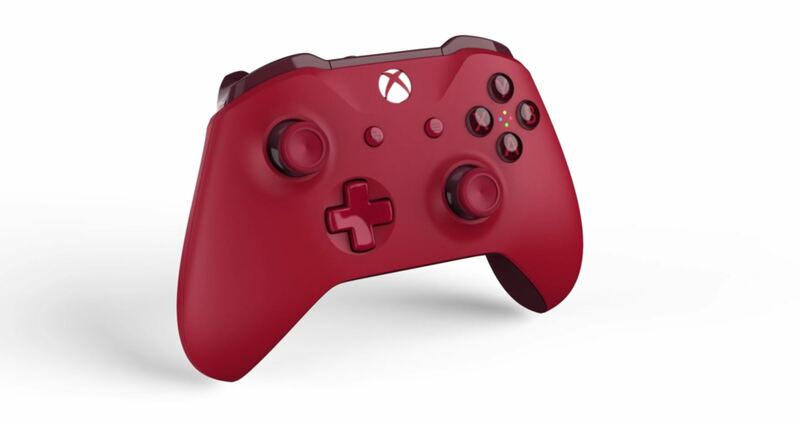 However, all that doesn’t necessarily mean Xbox One controllers are always the best option. It’s true that Xbox One controllers are ideal if you want to go for a wireless setup, but if your gaming PC is a traditional desktop rather than a laptop, successfully configuring a wireless controller can be a bit tricky. By default, most desktop computers don’t come with built-in support for wi-fi or Bluetooth, the two methods through which you’d pair a wireless game controller to your PC. Bluetooth and/or wi-fi connectivity can be added to a desktop via an external peripheral, but if you go the wi-fi route you also have to purchase a separate Xbox controller wi-fi adapter. Older Xbox One controllers also don’t come with built-in Bluetooth functionality, making wi-fi your only option. If you don’t mind running a charging cable from your PC to your controller, that’s honestly the best option if you already have an Xbox One controller that you want to use with your desktop PC. However, if you’re a desktop user who doesn’t already have an Xbox controller, I’d say the wired Xbox 360 controller could be the better option. It’s cheaper, much easier to set up, and any PC game that supports an Xbox One controller (even newer games) will also support older Xbox 360 models. If you prefer PlayStation controllers over Xbox, it is technically possible to get a PlayStation controller working on a PC. As you might have guessed though, the process isn’t nearly as straightforward as it is with Xbox controllers. Getting a PlayStation controller working with your PC means you’ll have to download some third-party software. If you want to use a newer DualShock 4 controller, all you’ll really need is a free open source program called DS4Windows. If, however, you prefer the older DualShock 3 controller, you’ll need to download a few C++ packages, .NET frameworks, and more. There are various online guides you can follow to configure PlayStation controllers for PC, just make sure you set aside some time since, as I mentioned before, it’s not a quick process. If you’re using a DualShock 4 controller, the good news is that Valve added native DualShock 4 support to Steam back in 2016. You still have to download and configure DS4Windows, but once the basic setup is finished you should be good to go as long as you’re sticking with Steam games. You can even play wirelessly if you want, but again, you’ll need a wireless adaptor. Similar to the Xbox One controller, you can also run a charging cable from your PC to your DualShock 4 controller, but without DS4Windows this plug-and-play method is only a viable option if you’re using the PlayStation Now subscription service. And even then, you still need a reliable internet connection since you’re technically streaming games. Plus, you’re restricted to the PlayStation Now game library. 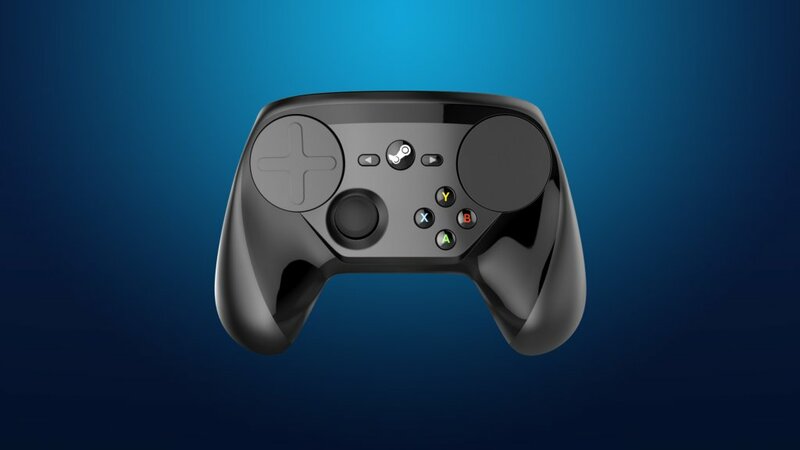 Personally, I’m not a huge fan of Valve’s Steam Controller. I don’t like how Valve swapped out traditional analog sticks for haptic pads, and the controller’s ergonomics just don’t gel with my more traditional game controller sensibilities. However, if you’re a PC gamer who has little to no prior experience with a console game controller, you could find a lot to love about Valve’s in-house option. The Steam Controller is obviously a great pick if you predominantly play Steam games, since Valve built Steam Controller support right into the Steam client architecture. Most Steam games have Steam Controller support enabled by default, and users can also manually configure the controller for any game that’s playable through Steam, even games that don’t support traditional console controllers. Pairing the Steam Controller with something like the Steam Link (or just a long HDMI cord) also allows you to replicate the traditional “living room couch” console experience. Even on its own, though, the Steam Controller has a lot of viability for a PC gamer who wants to find a happy medium between keyboard/mouse and console controller. Sadly, the Steam Controller loses most of its luster if you don’t do a lot of your gaming through Steam. Also, as I mentioned previously, it can be rough trying to transition from a more traditional Xbox/PlayStation controller to the Steam Controller. The Steam Controller covers its niche rather well, it’s just that the niche in question is noticeably small when compared to the greater PC gaming ecosystem. The three different controller types can serve a variety of different needs, but when it comes to ease of use and all-around compatibility, Xbox wins hands down. More specifically, you can get more universal use out of a modestly priced wired Xbox 360 controller than any of the other options I discussed. You won’t be restricted to the Steam platform, you don’t have to purchase any additional peripherals, and setting the controller up is as simple as plugging it into an available USB port. If a PlayStation controller is all you have available or you want to see what all the Steam Controller fuss is about, they are certainly both feasible options. When it comes to economic viability, universal compatibility, and overall ease of use, though, a wired Xbox 360 controller is your best bet.